Using recycled plastic bottles to make the Eco-fabric for the blazers is a fantastic way to demonstrate to children how products can go on to become something entirely different through the process of recycling. Students are proud to wear their uniforms. As schools’ demand for stylish & unique styles continues to grow, our new ‘Inverted pleat skirt’ is the perfect solution. A brand new addition to our eco range, our skirt offers a contemporary and individual style from stock. Our skirts come in a range of styles and lengths catering to school requirements and what style conscious girls want. This new style is a great alternative to the traditional gingham summer dress. In a super soft touch cotton jersey fabric it gives parents a more comfortable junior summer uniform option. 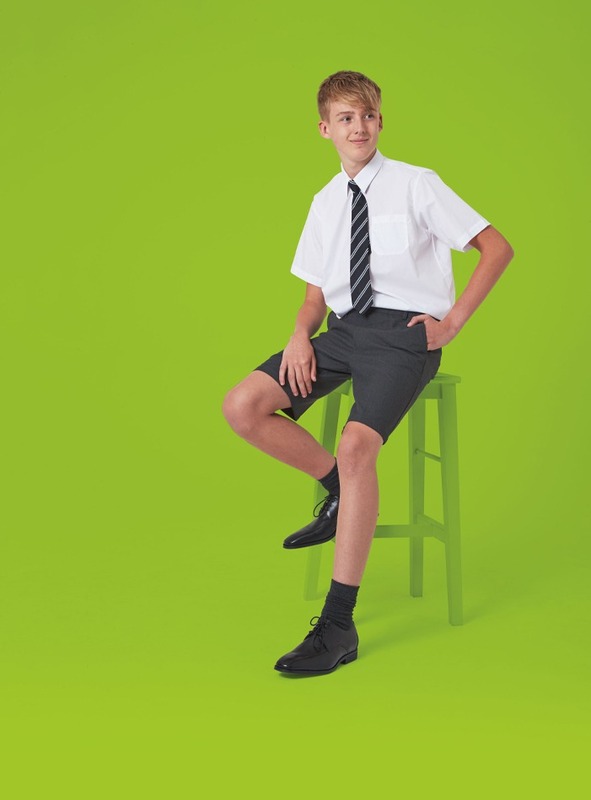 Our Bermuda shorts in a straighter fit complement the senior girls city short, providing a complete uniform offer which gives senior boys a smart, cooler option in the summer months. Our City Short offer schools a solution to cover many of the current issues they face. From rising UK temperatures to gender-neutral requirements, the stylish shaped fit shorts offer the perfect solution. We are delighted with this new eco-initiative. The quality of the uniform is excellent – you would never guess the material is made from recycled plastic and the added bonus is that it’s more hard wearing and colourfast than ordinary material.